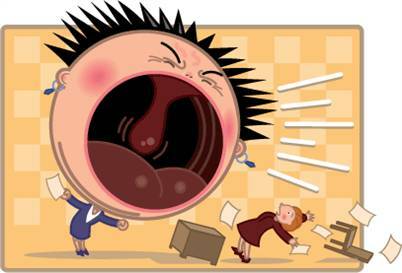 We all know how unpleasant it is to have an incapable, grumpy and never-satisfied boss. It’s annoying, nerve-wrecking and even …lethal. Apparently the bad-boss factor causes more health problems to employees than a sedentary life, smoking, high cholesterol or obesity. Shocking? Maybe not, as one spends at least 8 hours everyday at work or even more and being subjected to criticism, lack of communication or an unreasonable attitude will definitely have a strong effect on them. The increasing level of stress can easily crank up an employee’s blood pressure and cause the body to release hormones that can lead to the apparition of blood-clots or the hardening of arteries. For all of those who work under managers whom they perceive to behave strangely, and they feel stressed, the study confirms this might actually be a health risk. And they should take it seriously. In the end, it is clear that having a reasonable boss can be counted as a real blessing. After the study has been presented the degree of awareness has started to become higher as people’s health is at stake. At least one cardiologist has started to ask his patients more about their working conditions.